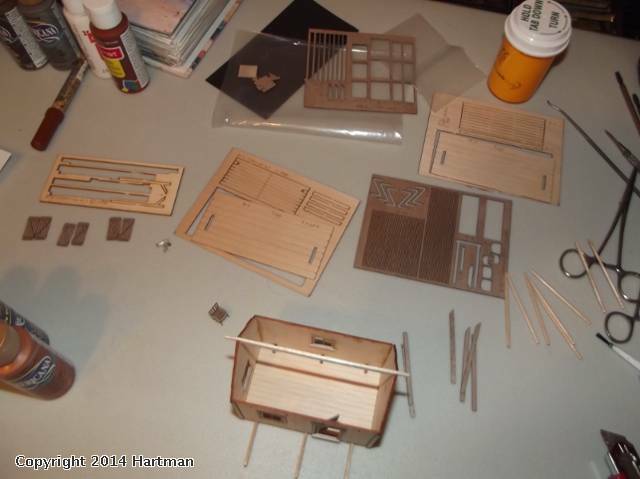 (Guest) J&C Studios O Gauge Archive Photo Poll: Aug. 2014 Nothing to do but wait. Topic: Nothing to do but wait. Nice shack. You build that yourself? Thanks John. This is a BTS craftsman kit. It is nothing more then a box full of plain wood pieces. The instructions were good, but it still required a whole lot more then glue. 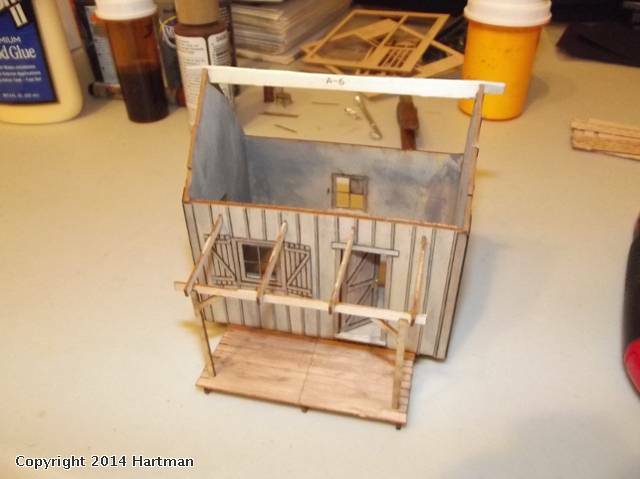 I really enjoy the small building kits put out by BTS, Bar Mills & others. If I had to put together one of their large houses or factories, I would quit because of the time required. These small ones I can knock out (at 1 to 2 hours a day) in a week or two. It looks better in person then in the picture. 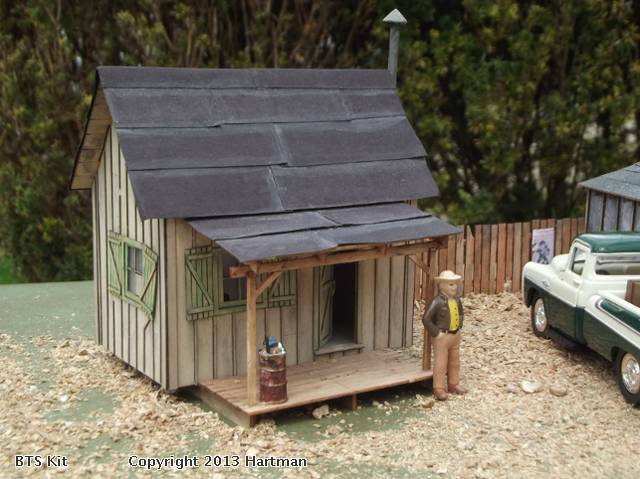 The roofing is a small sheet of black craft paper that came with the kit. 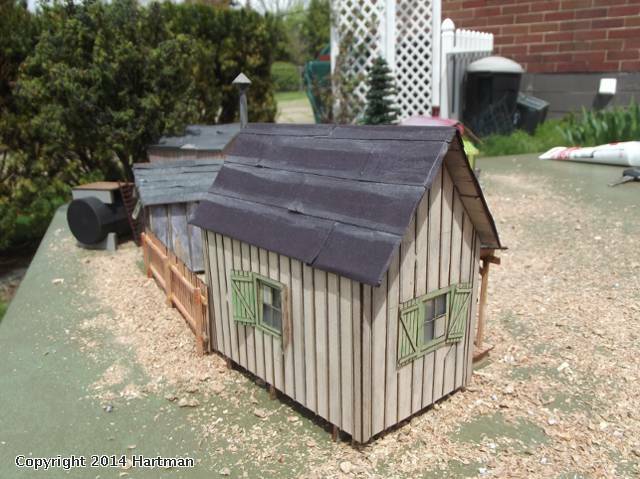 I cut it up and laid it out with smeary seams just like the real tar paper roofs on shacks. The paint & weathering did not show well in these set of pictures, but you can tell something is there. Thanks again, John. That's great - looks to be a laser-cut kit. Did it come with the roof material?